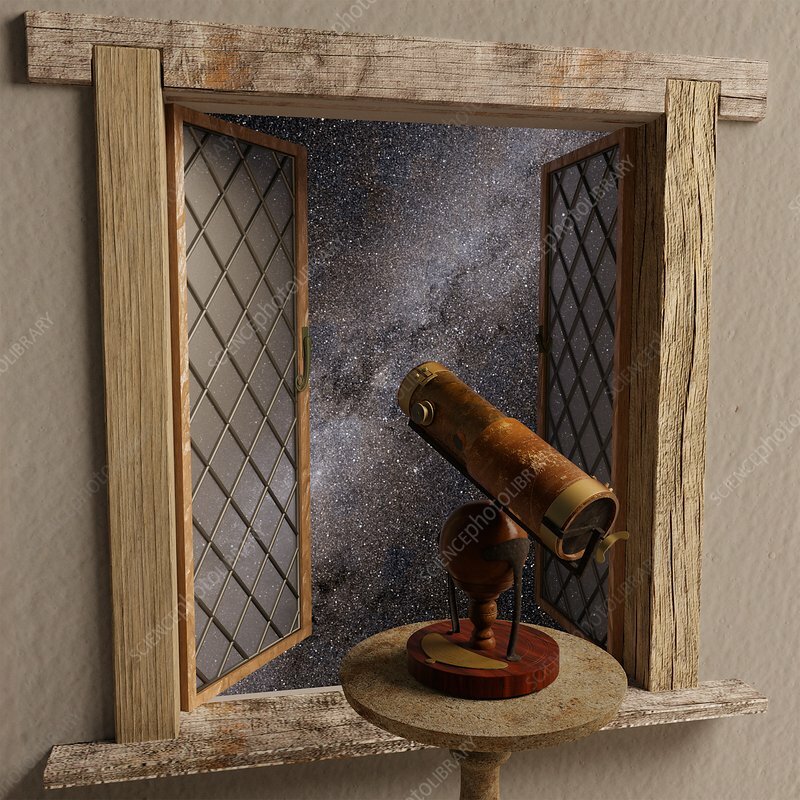 Whilst the idea of a reflecting telescope was first hypothesised by Galileo and Sagredo, it was Isaac Newton who constructed the first working instrument in 1668. A third instrument was presented to the Royal Society in 1671. Employing a mirror fashioned from a metal alloy (comprising copper, tin and a trace of arsenic) known as speculum, it became possible to observe stars for the first time achromatically so enabling the true colours of the stars to be realised. The making of speculum was a skilled process and probably not done by Newton himself as the proportions of each component is critical to producing a mirror that does not impart a colour to the reflected image. The telescope body comprises velum coated laminated paper glued and rolled into two tubes, one inside the other. The wooden ball mount allows the telescope to be pointed in any direction.